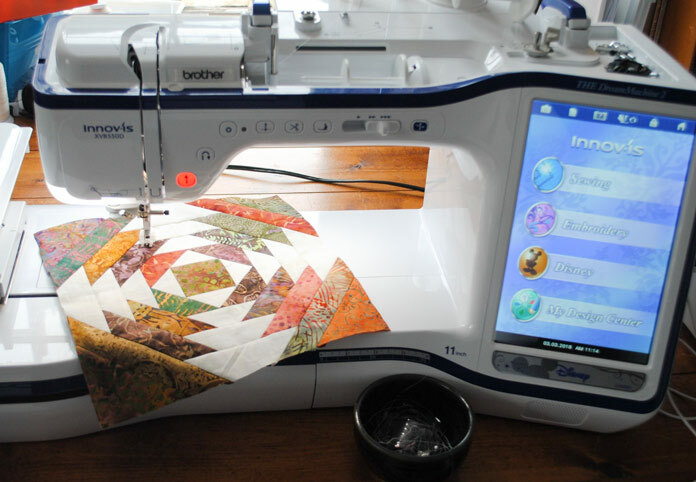 This week on QUILTsocial I’m using THE Dream Machine 2 from Brother to make a sweet Easter door banner. 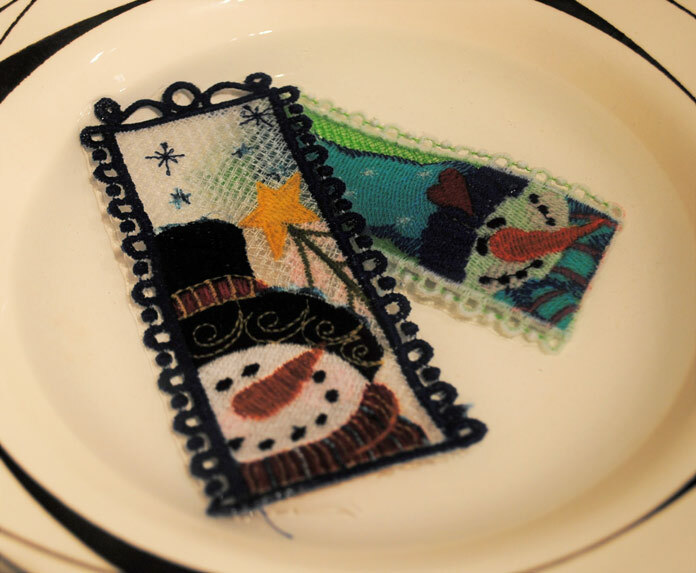 I’ll start by sharing some great tips for making free standing lace (FSL) with your embroidery machine. I have to be honest with you, up until last month I’d never even heard of FSL, but one day I stumbled upon a FSL design while researching embroidery designs online and I was intrigued. 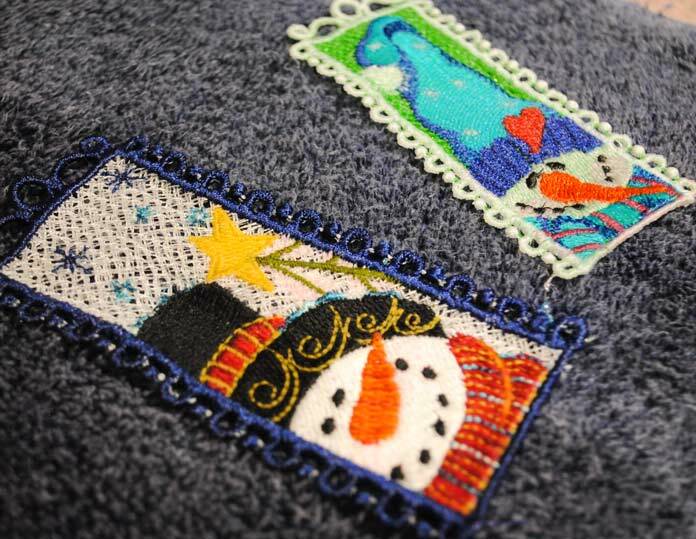 I downloaded these super cute FSL bookmark designs and tried to embroider one, but it went HORRIBLY wrong!! My stabilizer ripped, my threads broke, and I figured that I might need some professional help! So I emailed Brother educator Lynn Swanson and asked if she had any tips for doing free standing lace embroidery. She obviously knows what she’s talking about because my next attempt was very successful, so I asked if I could share her great tips with you here! 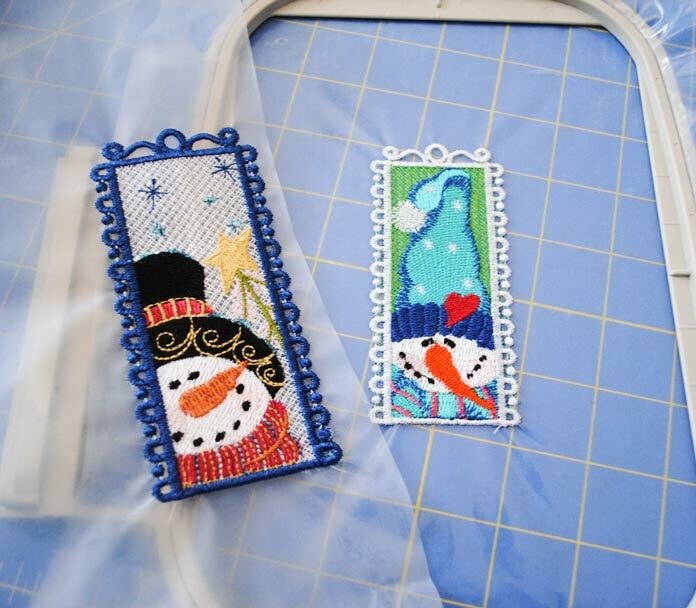 Choose a design that says it is either for “free standing lace” or “FSL”. When you’re looking online, the design will say that it’s appropriate for FSL. 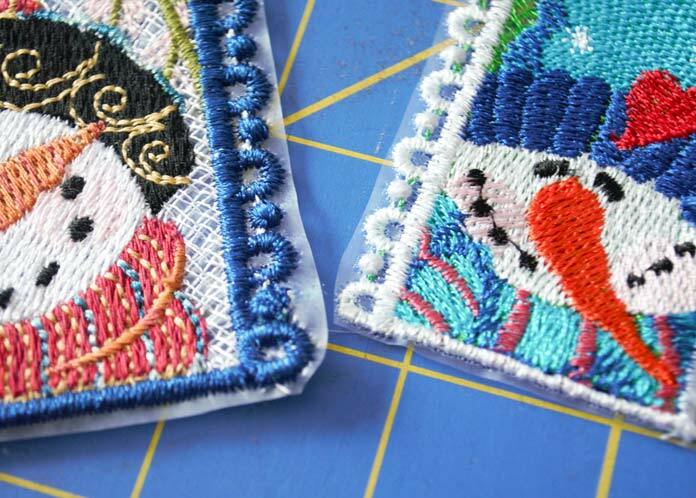 Regular embroidery designs are made so that the fabric keeps the design together. No fabric and the threads will just unravel. 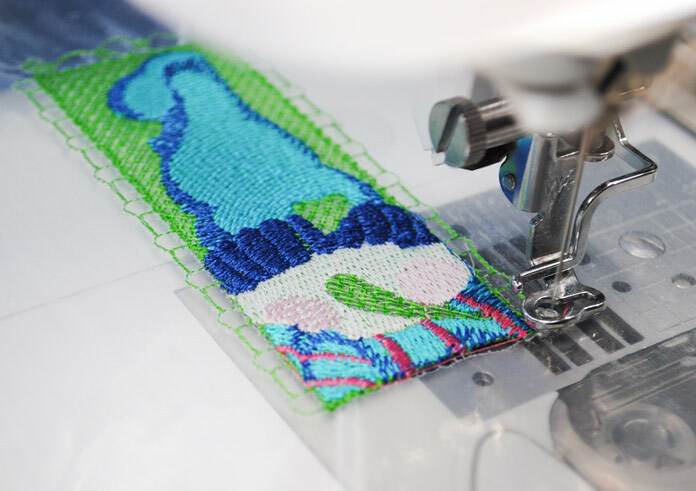 FSL designs are stitched in a way that the thread keeps the design together. 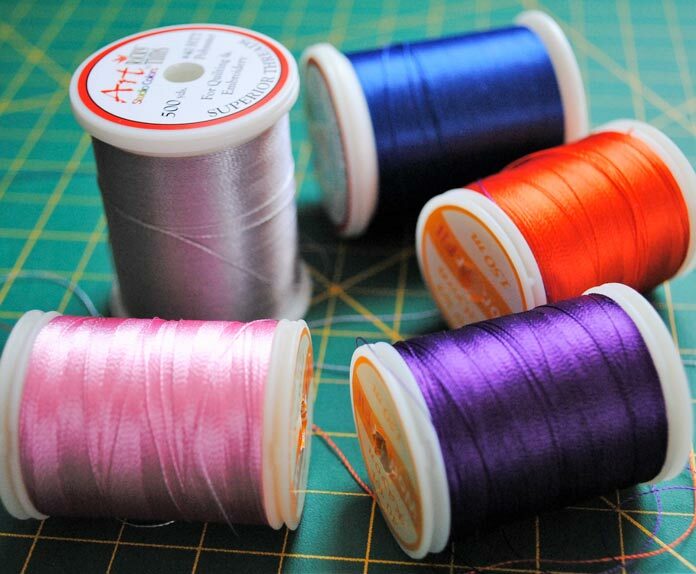 Make sure to use the thread type the design calls for – if it calls for cotton thread make sure to use cotton and not rayon. Lynn says that she has used 30 weight and also up to 50 weight depending on what the pattern calls for – but don’t substitute rayon if the pattern suggests cotton. She’s also used rayon thread and some metallic thread if the pattern calls for it. 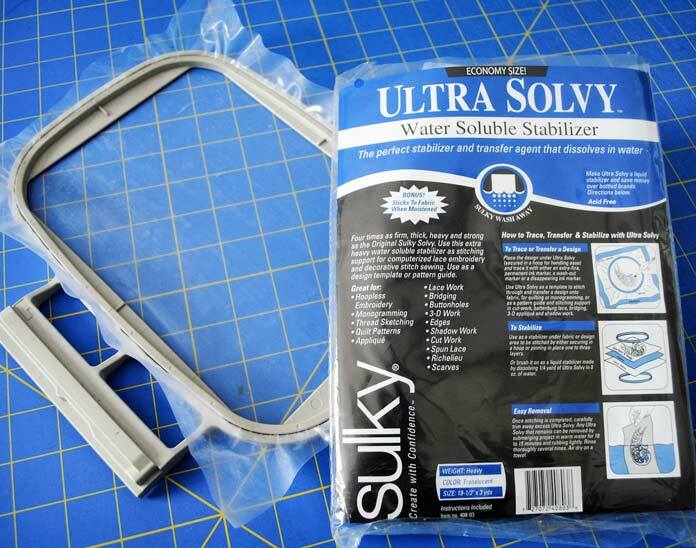 Lynn says that she’d had the best results usings heavy duty water-soluble stabilizer. She likes Sulky Ultra Solvy but has also used Brother water soluble stabilizer. Lynn likes to use a 75/11 sharp or ultra sharp needle. 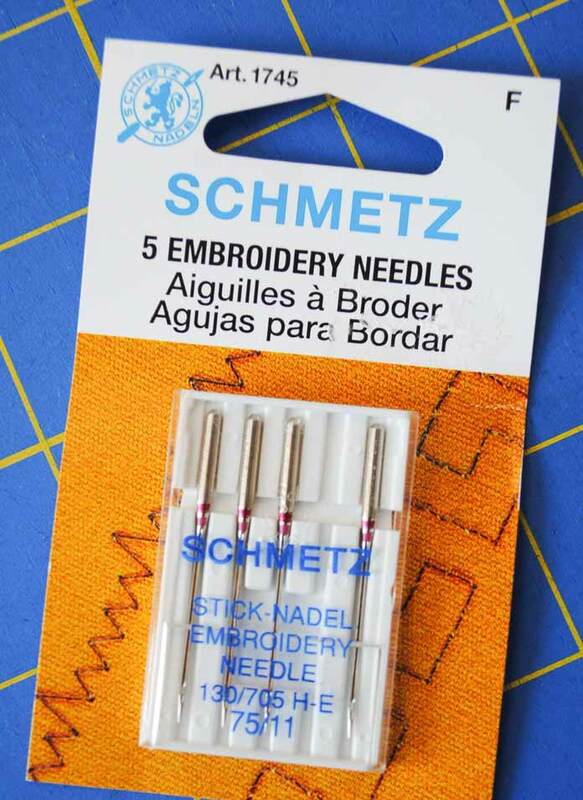 You want to have a narrow (thin) needle because when the needle perforates the stabilizer so you want as small a hole as possible. 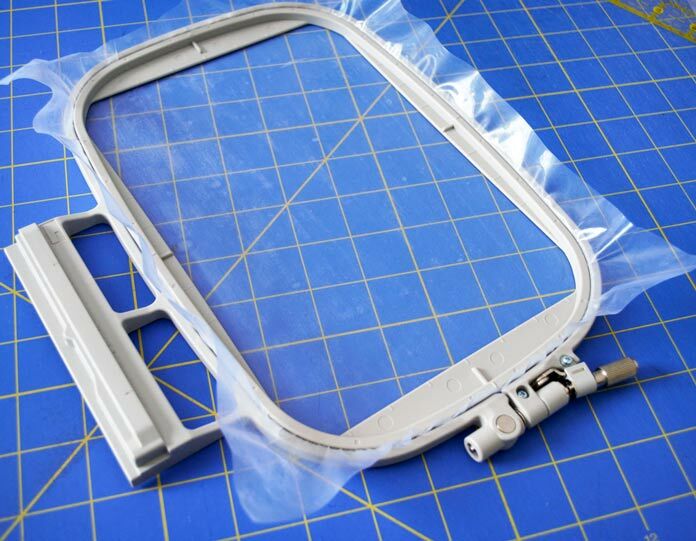 Make sure you hoop the stabilizer tightly, tighter than if you were stabilizing fabric. 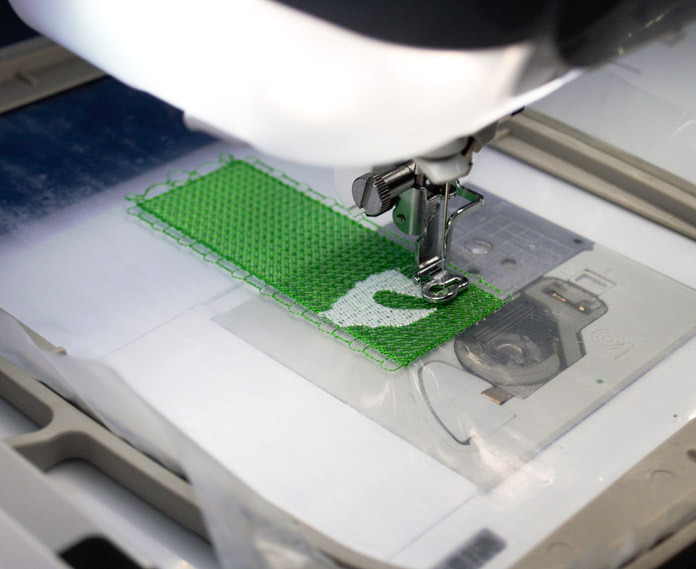 The base stitching for the free standing lace embroidery is what keeps it all together when the stabilizer is removed. As you can see THE Dream Machine 2, first stitches the whole background (green) in a criss-cross pattern and then the design is stitched on top. With the addition of more thread colors, the design is coming to life! 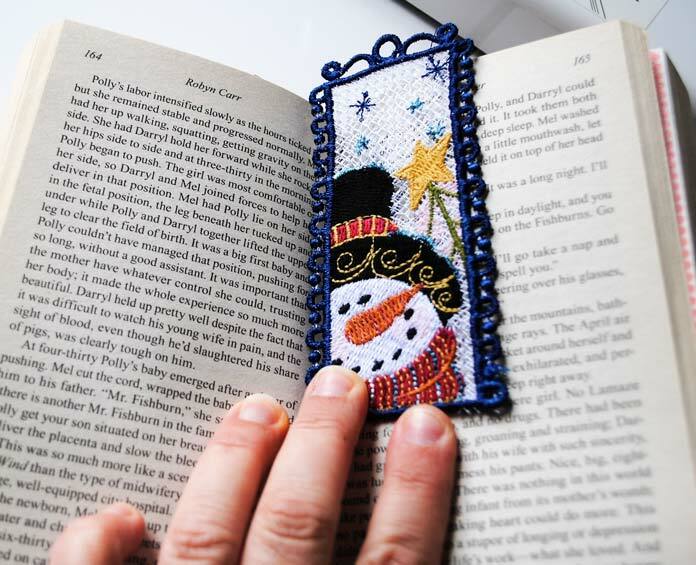 Here’s the original bookmark, and a second one that was increased in size before stitching. Trim away the excess stabilizer around the bookmarks as close a possible without clipping any of the threads. Fill a bowl with warm water and lay the design in it. It sure doesn’t take long for the stabilizer to dissolve away! Once the stabilizer is dissolved remove the design and lay it on a thick towel to dry. Now that my bookmarks are dry, they can be used to keep my spot in my next great read! And wouldn’t these be cute presents? There are FSL designs available for ornaments and houses, doilies and more! 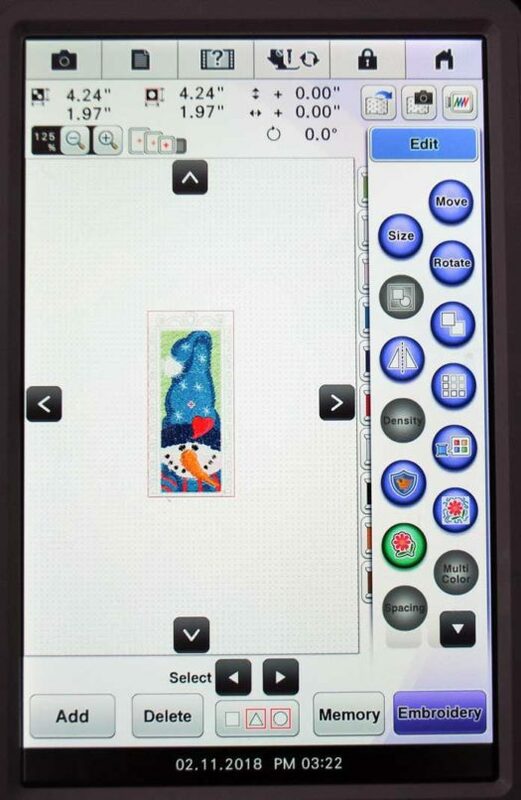 Just type in “FSL” on your favorite embroidery design website to see what’s available. Tomorrow we’re going to start working on our Easter project – see you then!